Welcome back for part two in our “What’s the word?” blog series. 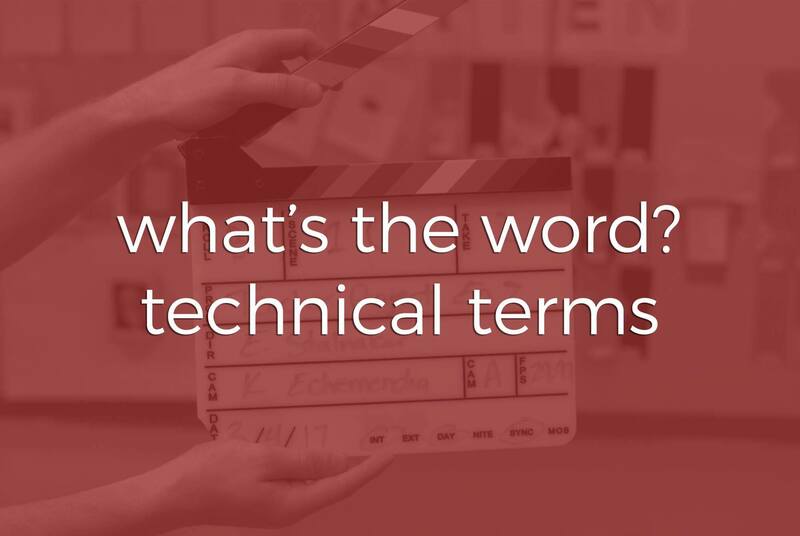 For today’s post, we are focusing on the technical terms in filmmaking and videography. You may hear someone use these terms in various settings, but especially during the production process. 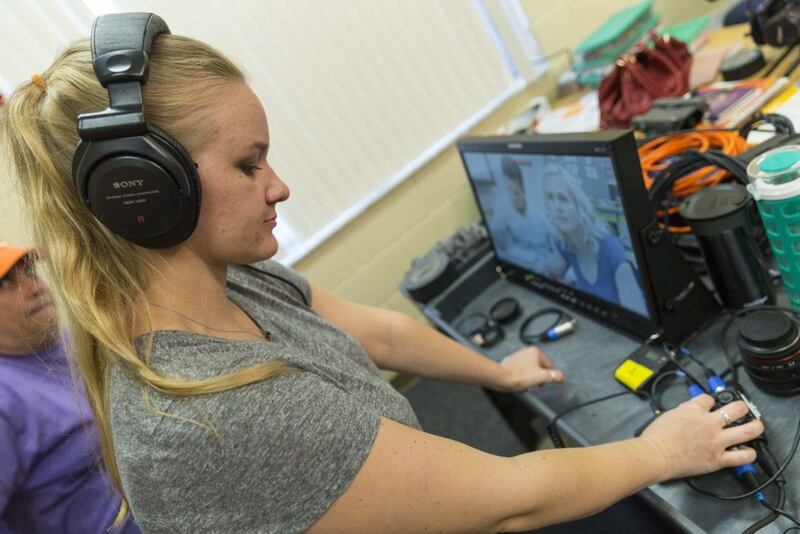 A filmmaking or videography production is much more complex than people think. When you are creating a film or video, you are likely basing the visuals off of a script. During the pre-production process, you will create a shot list based on the script to capture during production. 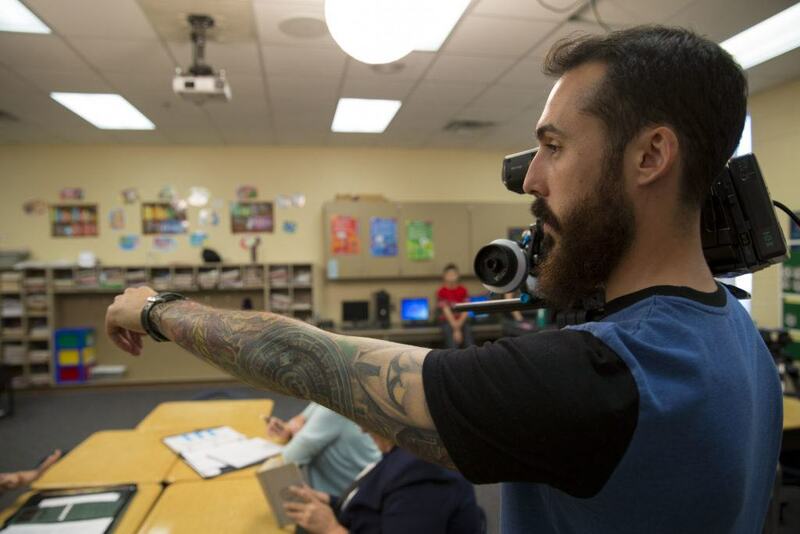 You will then work with the director of photography and creative director to determine the various type of footage to capture, such as A-roll and B-roll. During pre-production, other technical aspects of the what the final product will look like are determined as well. Graphics, photos, intros, outros, and voice overs are the details that help make a video, film, or commercial complete. Even though these are decided in the pre-production phase, some of the elements are not added to the film until post-production. B-Roll: alternate footage captured for production. This is often where you will see more artistic, detailed shots. Pre-production: the planning process of a production. This is similar to dress rehearsal for a play. Producers and department heads go through each element to fix any kinks before production begins. This is the first step in filmmaking. Production: the tasks completed during filming/shooting. This is the second phase in filmmaking. Voice over (aka VO): the voice of an unseen narrator speaking or the voice of a visible character expressing his thoughts or feelings. Post-Production: the tasks completed after filming/shooting, such as editing, graphics, and more. This is the final step in the filmmaking process.